Zhejiang cuisine includes the specialties of Hangzhou, Ningbo and Shaoxing in Zhejiang Province, which is known as ‘land abundant in fish and rice’, Zhejiang cuisine, not greasy, wins its reputation for freshness, tenderness, softness, and smoothness of its dishes with mellow fragrance. 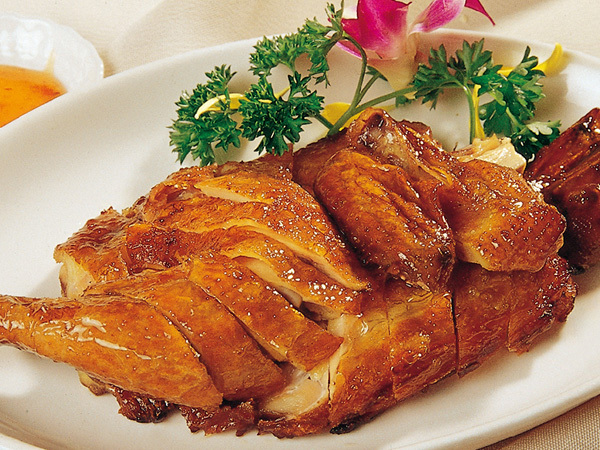 Hangzhou cuisine is the most famous one among the three. 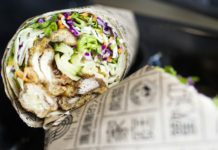 Each of the three sub-cuisine traditions is noted for its special flavor and taste, but they are all characterized by the careful selection of ingredients, emphasizing minute preparation, as well as unique, fresh and tender tastes. Zhejiang cuisine specializes in quick frying, stir-frying, deep-frying, simmering and steaming, by which the dishes obtaining the natural flavor and taste. Special care is taken in the cooking process to make the food fresh, crispy and tender. Thanks to exquisite preparation, the dishes are not only delicious in taste and but also extremely elegant in appearance. It comprises the specialties of Southern Anhui, Wanjiang, Hefei, Huainan and Northern Anhui. 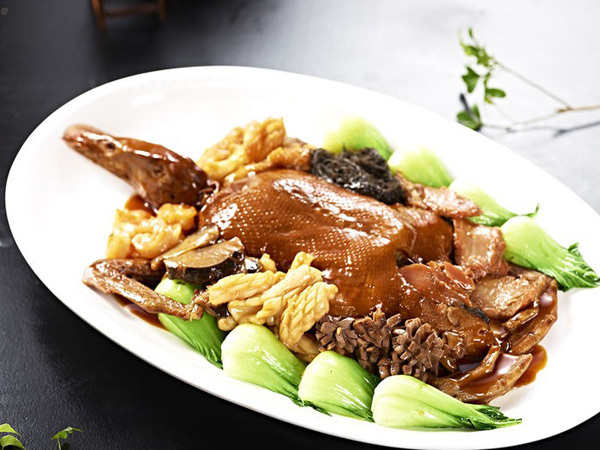 The highly distinctive characteristic of Anhui cuisine lies not only in the elaborate choices of cooking materials but also in the strict control of cooking process. Anhui cuisine is also called Anhui favor. It originates from ancient Huizhou in the Southern Song Dynasty. At first, Anhui favor comes from mountainous area in ancient Huizhou. With the rise of Anhui businessmen, Anhui cuisine gradually spread to Jiangsu province, Zhejiang province, and Jiangxi province and so on. Most ingredients in Anhui cuisine, such as pangolin, stone frog, mushroom, bayberry, tea leaves, bamboo shoot, dates, come from mountain area. Huangshan Mountain has abundant raw materials for cooking. The white and tender bamboo shoots grew on Huangshan Mountain can be made into very delicious food. And Xianggu, a kind of top-grade mushroom grows on old trees, is also very tasty. Shandong province border the sea, so Shandong cuisine deeply influenced by the sea food. People in Shandong like to use seasoning and flavoring to make cuisine more delicious. 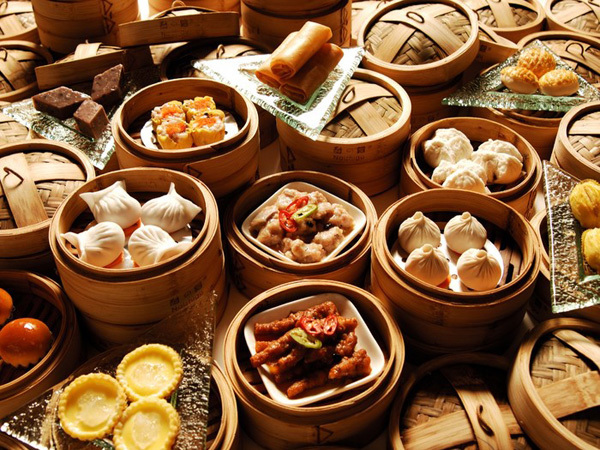 As one of the eight major cuisines of China, it plays an important role in Chinese cuisines. The Shandong cuisine is made of eastern Shandong dishes, Confucius dishes and Jinan dishes. For Shandong locates in fertile plains, it’s a main wheat-growing area in China. People in Shandong even like to eat foods made of wheat flour as staple food. It’s common to see that Shandong people eat big cakes stuffed with scallions or minced meat when they eat three meals a day. The cuisine is generally salty, with a prevalence of light-color sauces. The dishes feature selected materials, adept skill in slicing and perfect cooking techniques. Shandong cuisine is representative of northern China’s cooking and its techniques have been widely absorbed by the imperial dishes of Ming and Qing Dynasties. Common raw material: onions, sea cucumber, pork, vegetable and other aquatic products. Cooking Techniques: quick stirring, deep frying, stir frying, braising and so on. 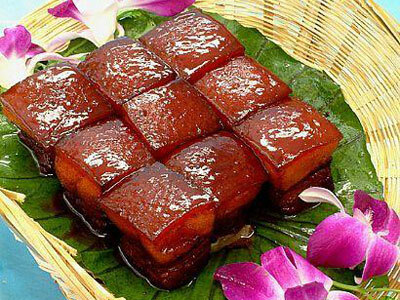 People in Shandong like to make their cuisine crisp, delicious, sweet and sour flavor, and tender. Besides, Shandong people especially like to use onion as one of the material in Shandong cuisine. The dishes include braised sea cucumber with onion, cartilage stewed with onions, and meat stewed with onions. Roast meats are also served with onions. 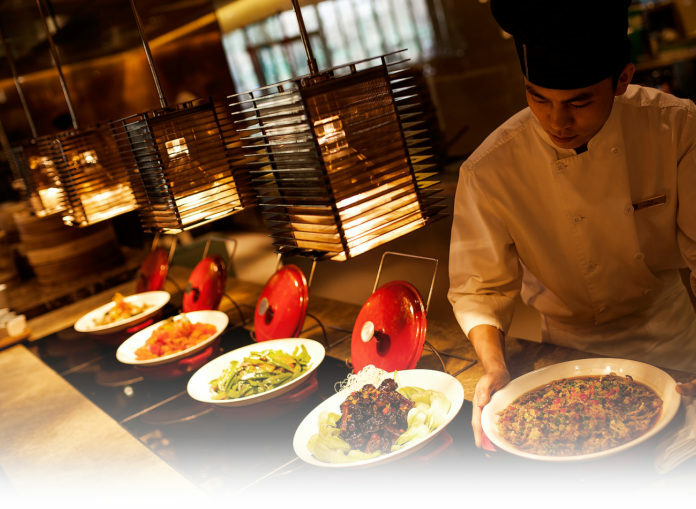 As one of the eight major cuisines of China, Hunan cuisine is famous for its hot and spicy. 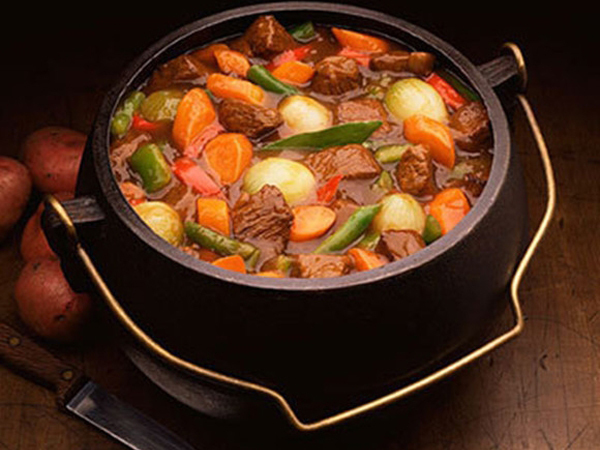 People may be confused that what the difference is between Hunan cuisine and Sichuan cuisine, for the characteristics of them are hot and spicy. Sichuan cuisines are widely used chili peppers, especially prickly ash, giving it a distinctively spicy taste which leaves a slight numb sensation in the mouth, while Hunan cuisine doesn’t has. 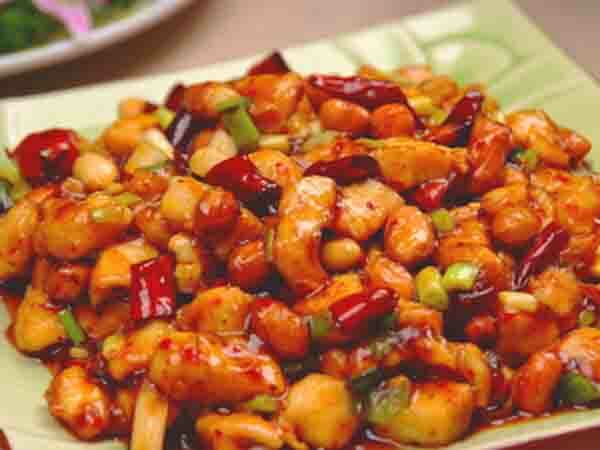 Hunan cuisine mainly originates from Dongting Lake area and western Hunan mountain area. 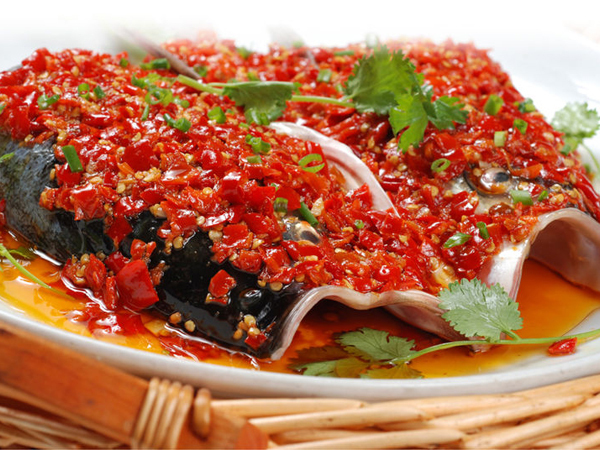 Aquatic food and poultry are main cooking materials of Dongting Lake area cuisine, which taste salty and spicy. However, game and many kinds of meat are the main cooking materials of western Hunan mountain area cuisines, the tastes are salted fresh spicy and sour. Sichuan Cuisine is one of the eight major cuisines of China. The cuisine features a wide range of materials, various seasonings and different cooking techniques and numerous tastes. Statistics show that the number of Sichuan dishes has surpassed 5,000. With a rich variety of strong flavors, Sichuan food is famous for its countless delicacies, dominated by peppery, chili flavors, and best known for being spicy-hot. If you find the Sichuan dishes too bland, then you are probably not eating authentic Sichuan cuisine. Chili peppers and prickly ash are used in many dishes, giving it a distinctively spicy taste, called Ma in Chinese. It often leaves a slight numb sensation in the mouth. Thanks to the development of global trade, chili peppers were spread to Sichuan by Americans in the 18th century, which greatly influence flavor of Sichuan cuisines. Sichuan cuisine is characterized by stirring and frying over a hot fire, braising, and so on. People in Sichuan like to use condiments like chili, garlic, cinnamon, dried orange peel, scallion etc. to make their cuisine delicious. The most of the characteristic of Sichuan cuisine is hot and spicy. You can see that even every Sichuan cuisine cooked with chili peppers. It is the hardest to categorize, emphasizes light cooking with seemingly limitless range of ingredients. Cantonese cuisine took shape in the Ming and Qing Dynasties. 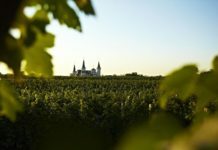 In the process of its development, it has borrowed the culinary essence of northern China and of the Western-style food, while maintaining its traditional local flavor. The cooking methods of Canton cuisine are complicated and Canton cuisine is elaborate and refined. Chefs have to spend much time to prepare the materials and cook, that’s why the Canton cuisine restaurants are less than Sichuan cuisine restaurants. The most characteristic cooking methods are cooking in salt or wine, baking in a pan, and soft frying. Guangdong cuisine emphasizes unique mixed flavorings. For example, one flavoring liquid is a mixture prepared from onion, garlic, sugar, salt, and spices. The gravy is prepared from a mixture of peanut oil, ginger, onion, Shaoxing rice wine, crystallized sugar, anise, cassia bark, licorice root, clove, ginger powder, and dried tangerine peel. Spiced salt is prepared from refined salt, sugar, powdered spices, and anise. 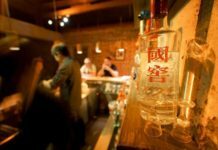 These flavorings, along with other favorite condiments such as oyster sauce, fish sauce, clam oil, and curry, give Canton cuisine a unique taste. For many people of Canton, everything that walks, crawls, flies, or swims is edible, such as cat, snake, honeybee pupae and so on. In order to esteem the eating habits of other areas, some of materials are eliminated. Therefore, a lot of strange food no longer appears to today’s Canton cuisines.